Boot wipes, bento lunch boxes, Dobby Socks, and 30 other favorite products from our recent posts. 1. A two-piece lazy spoon set for simply hooking over your pots and pans rather than needing a separate spoon rest. These can withstand temperatures of up to 500 degrees F., and are dishwasher-safe! 2. A two-pack of puffer fish dryer buddies to soften fabrics and control static from your machine in the cutest way possible. 3. 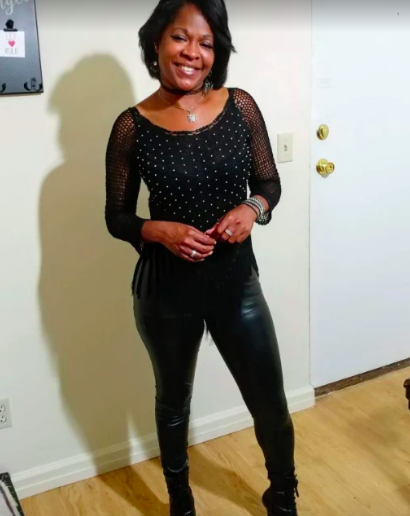 High-waisted, faux-leather leggings that'll spice up any outfit and make a night out on the town with your friends a lot more comfy. 4. A soap scum and grime removal spray for targeting areas like your sinks, showers, and tubs and making them shine like the top of the Chrysler building. This can be used to clean bathrooms, showers, bathtubs, tile, grout, fiberglass, chrome wheel rims, boats, outdoor furniture, stainless steel, ceramic sinks, and more! 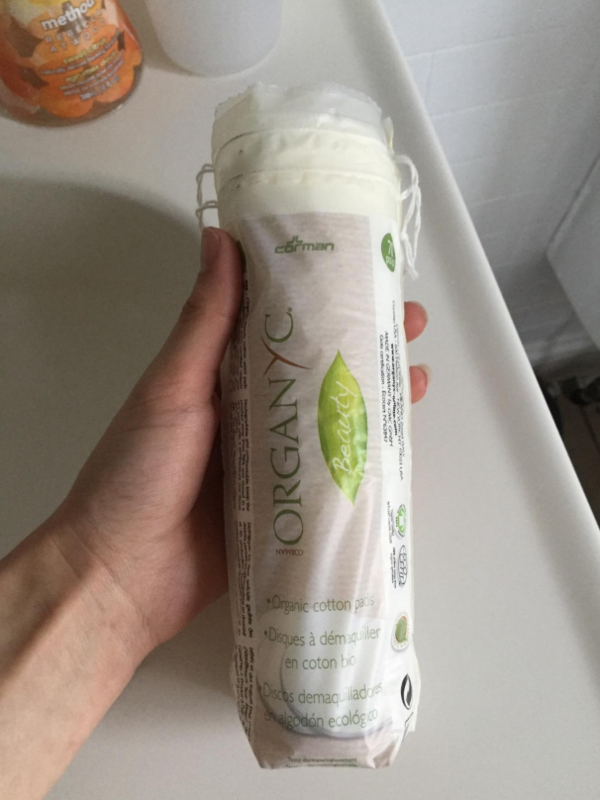 This is non-toxic, safe against septic systems, and free of bleach, acid, and harsh chemicals. 5. A snow/ice windshield cover to cut-back on time you personally have to spend in the freezing cold, de-frosting and scraping your front window. This can also be used in the summer as it's resistant to UV rays, so it'll prevent the inside of your car from getting too overheated! Skin burns from car seats? No bueno. 6. Blue-light blocking glasses that'll protect your eyes from straining while looking at computer, phone, and television screens. 7. A pack of low-carb and sugar-, gluten-, soy-free brownie mix for whipping up five star bakery-quality brownies, without even realizing they're SO allergen-friendly. 8. 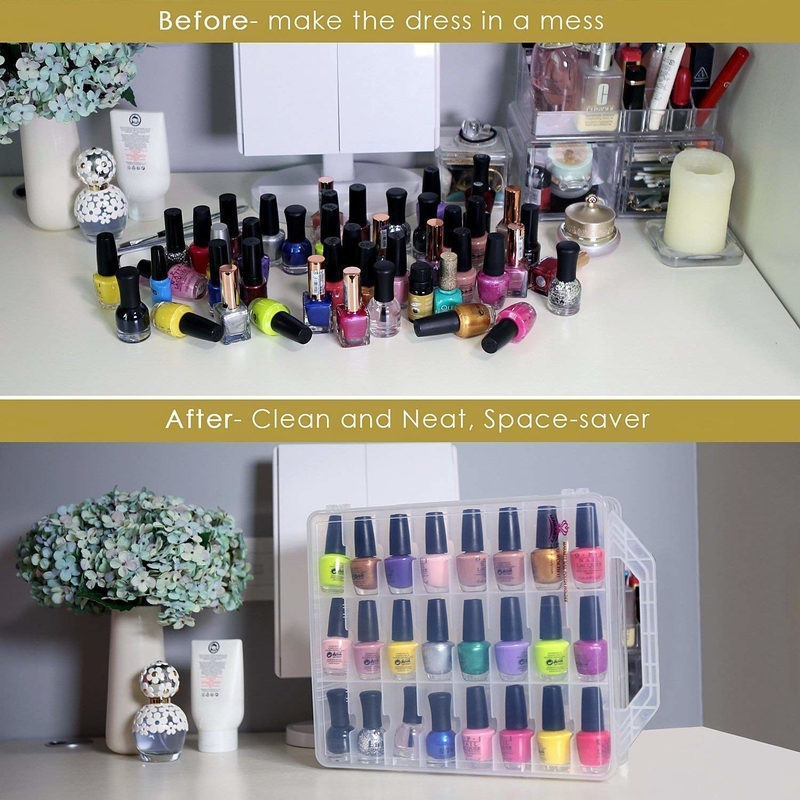 A nail polish organizer to provide an easy, clean case to hold your pretty polishes (that's not to mention how much easier it's gonna be going forward when it comes to picking out which color to use next). This holds 48 bottles and is double-sided, so you can always see your nail polish colors in front of you! Promising review: "I bought this after trying a makeup style Caboodle for polish and looking for many, many more. This is better than advertised. 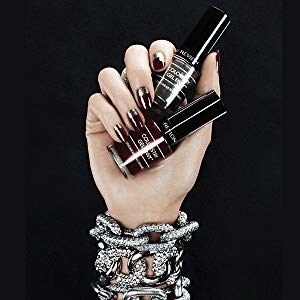 ESSIE, OPI, POP-ARRAZI, SINFUL COLORS, SH INSTADRY, SH TRIPLE SHINE, SH XRREME WEAR, WET AND WILD, SH HARD AD NAILS, and COVER GIRL all fit perfectly in the standard size boxes. My JULEP colors fit two in a compartment! 9. A plunger that'll make the chore of cleaning your furry friend's paws a seamless process for both of you. 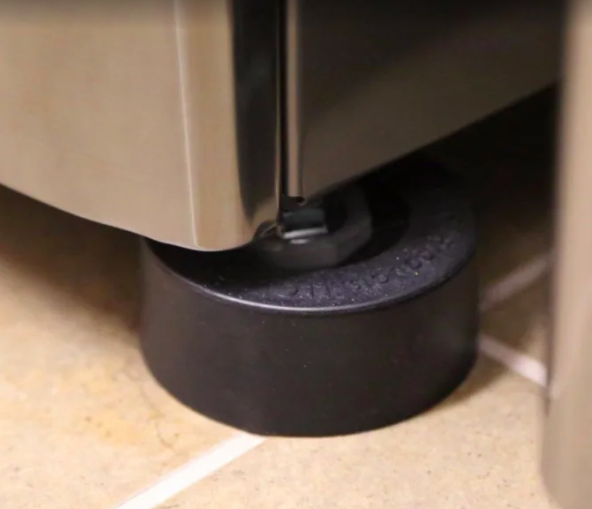 No more worrying about the dirt they're gonna track around your floors after they come back inside. To use, just add warm water to the top row of bristles, insert your pet's dirty paw, gently move it in and out as the bristles clean the dirt, and then use a towel to dry their feet, and pour away the dirt water, voila! 10. A car air mattress perfect for bringing along on a camping trip when the thought of sleeping in a tent is a no-go, or bringing on a road trip, when the idea of spending a ton of money on a hotel is a "nuh-uh honey," from your wallet. 11. A repair balm to gently soothe irritated, dry skin — it's suitable to use on your face, feet, even on your little one! Some great features the company boasts about this cream is that it's non-oily, non-sticky, paraben-free, fragrance-free, lanolin-free, and tested under dermatological and pediatric control. It contains ingredients like copper, zinc, and maganese to help reduce the appearance of dry, irritated skin. 12. 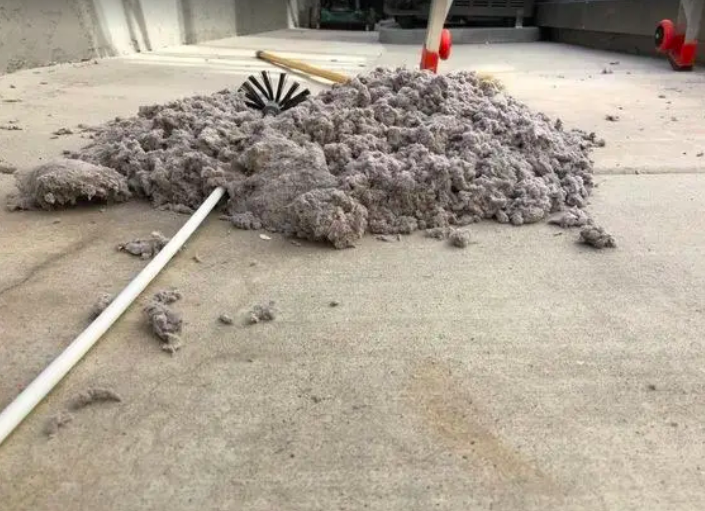 A Swiffer sweeper set with three wet pads and seven dry pads that'll make "mopping and drying" your floors so much easier and faster. When you run out of pads, you just keep the Swiffer, and re-fill on wet and dry pads. 13. A two-pack of tire traction tools for seriously helping when it comes to having to back your car out of the driveway or a parking spot in a snow storm. These also work against mud and sand! Promising review: "I bought these for my sister, she lives in the mountains of North Carolina. She said these literally saved her life one night when she was stuck in the snow on a back road by herself with no cellphone reception. It's a great gift for anyone who drives virtually anywhere, especially in the snow, mud, or sand." —Kenneth V.
14. Dobby socks that'll make any Harry Potter fanatic super happy when it comes to keeping their feetsies warm. 15. 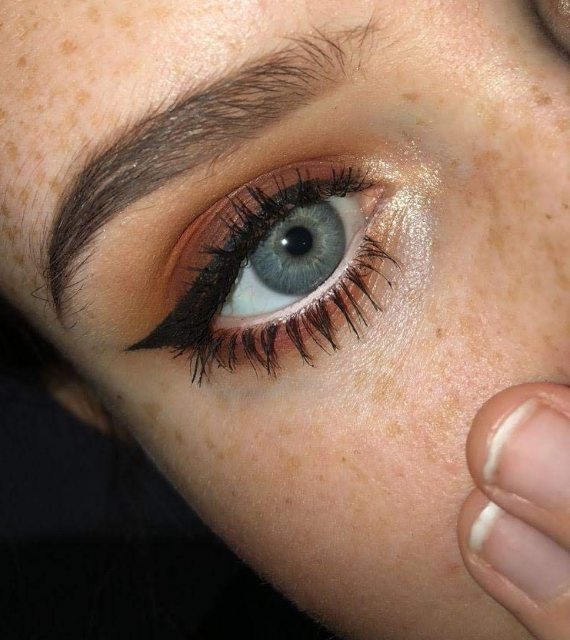 An eye pencil that'll actually get you excited to get ready in the morning, because of how easy doing your makeup will be now. 16. An Apple lightening adapter for those who have, or plan on upgrading soon to the iPhone without a headphone jack. It's big sad needing this to connect most headphones to your phone, but it's pretty much required at this point. 17. A book filled with lovely illustrations and great quotes from historical men on their beloved felines. 18. A heel therapy stick that'll make cracked, painful heels a thing of the past. You deserve to have feet smoother than a baby's bottom, OK?! It's made with anti-bacterial and anti-fungal ingredients and also works well on knees, elbows, and cuticles! Promising review: "This is a godsend for cracked heels. Apply liberally at night before bed, put on a pair of socks so you don't mess up your sheets, and wake up with visibly improved heels. Keep doing it for two to three weeks to get long-lasting results. I tried everything I could get my hands on to get rid of the pain from my cracked heels, and nothing worked, until I found this. Now I'm giving it as a gift to everyone I know who has similar problems, (starting with my mom), and they all love it!" —Ioannis K.
19. A six-pack of bento lunch boxes for prepping perfectly balanced and pre-portioned lunches and dinners in advance. Great for families and just for yourself, too! These are FDA-approved, BPA-free, and made with food-grade materials. They're microwave-, freezer-, and dishwasher-safe (top rack), and can withstand temps between -40 and 320 degrees F.
20. 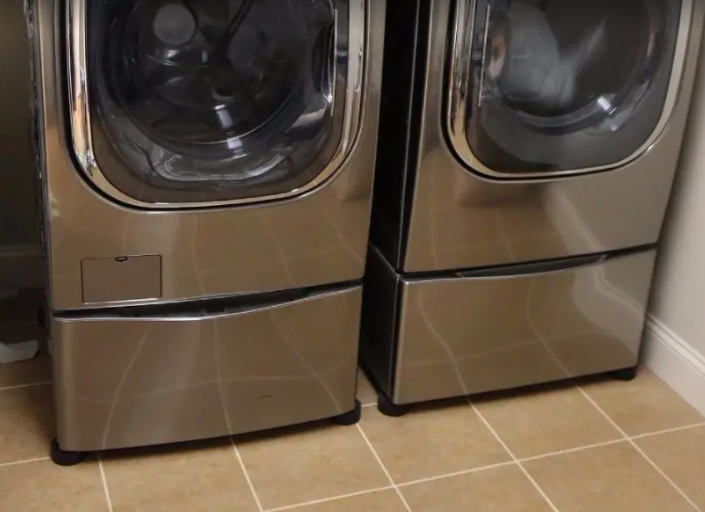 Anti-vibration pads to prevent your washer and dryer from skidding on your precious floors, and keeping them stably positioned in their intended spot. Universal in size and compatible with most machines! 21. A Britney Spears Funko that you'll find yourself being a slave 4, regardless if you're a fan of BritBrit or not! 22. A two-pack of wooden soap holders for a minimalist, but stylish spot to place your hand soaps. 23. 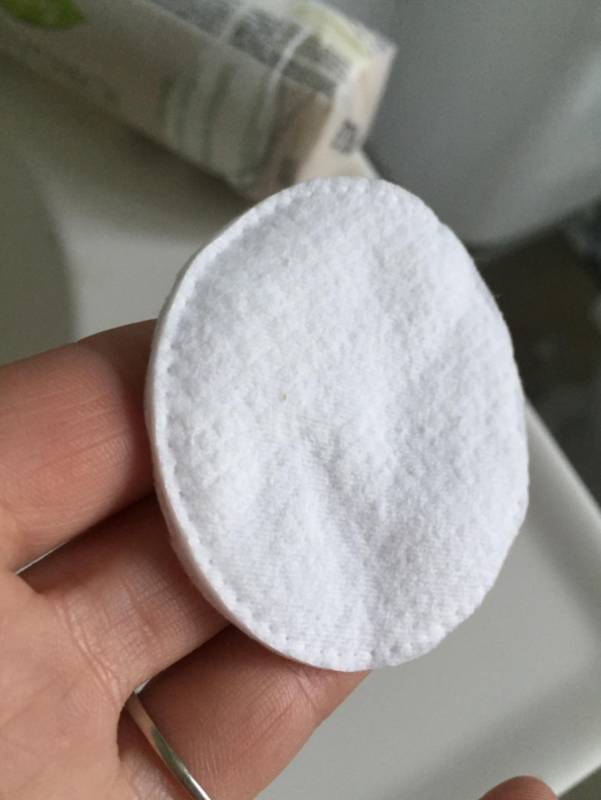 A 70-pack of organic cotton rounds perfect to use when taking off or applying cosmetics, and for household uses like cleaning. This paint is non-toxic, zero VOC, low-odor, and solvent-free, so if you're sensitive to chemical smells, this stuff is A-OK!! 25. A six-pack of refrigerator mats for preventing your fridge shelves from getting dirty and mildew-y. These can also slow-down the process of produce rotting, and help prevent them from getting bruised. These are BPA-free and safe enough for food to come in contact! 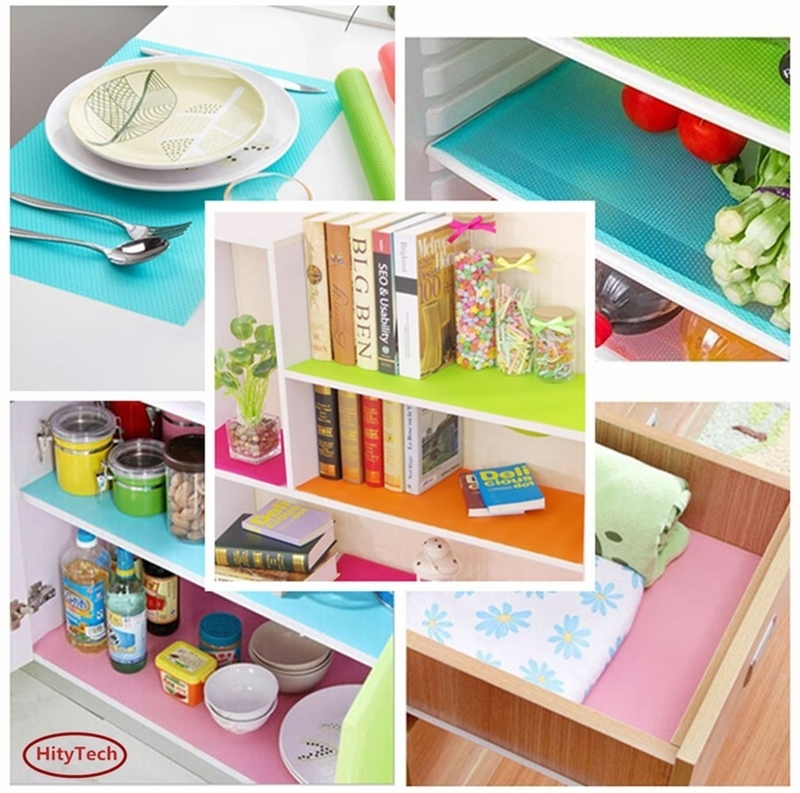 Promising review: "I bought a set of these to line my refrigerator shelves. They are heavy-duty and don't slide around. I love that I can clean them by just wiping them down, or removing them and returning them to the refrigerator without struggling to remove, clean, and replace the refrigerator shelves. After using them for a while, I bought a second set to complete the job. Love them!" —SHARON B. 26. A hyaluronic acid cream from France to moisturize your skin and lessen the appearance of wrinkles, without needing to buy a plane ticket to Europe! This can be used to moisturize, as a blur, and to help reduce the appearance of wrinkles. It contains hyaluronic acid, an ingredient that is good at hydrating and plumping dry skin and helps repair. 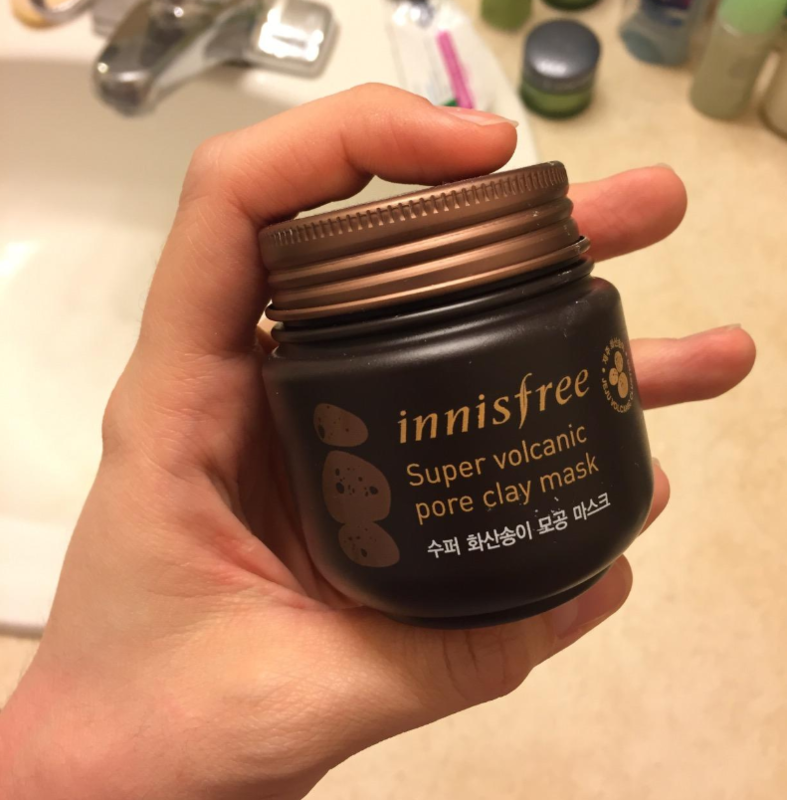 Use without makeup or right before applying. 27. 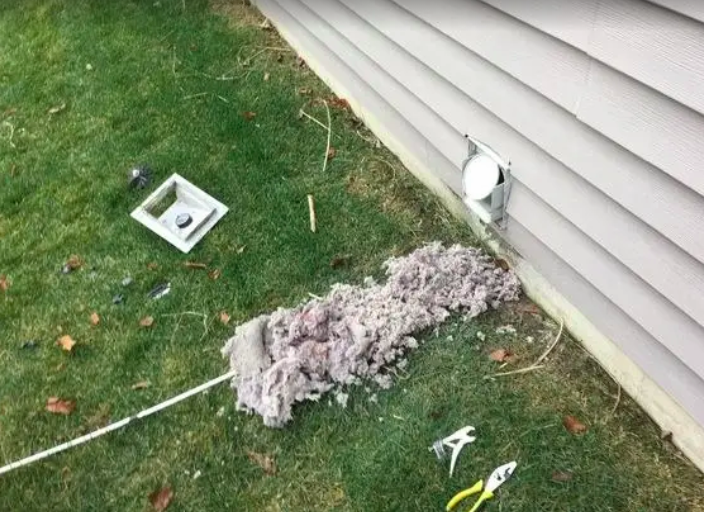 A vent cleaning system that'll remove lint from dryers, vacuums, AC vents and more, because you and I both know your poor appliances just won't function the same when their clogged up with yuckiness. Includes four long flexible screw-connect rods, one blockage removal tool, one vacuum adapter, one self-feeding auger brush, one lint-trap brush, one dryer adapter, and an operator's manual. 28. 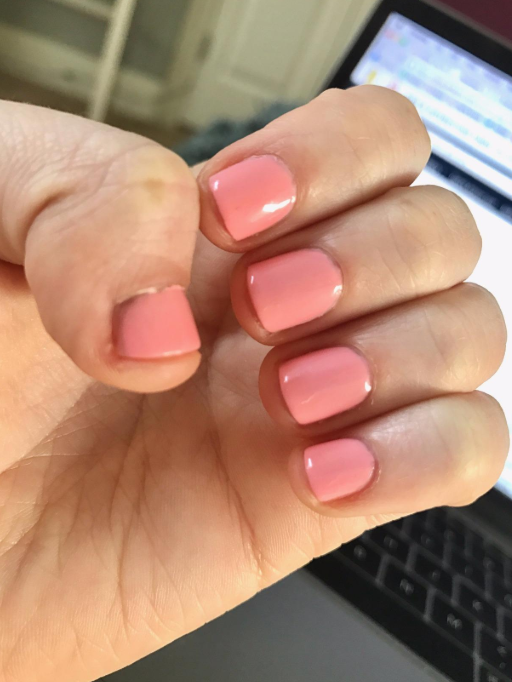 A top coat to finish off any manicure or pedicure with a pretty shine even your salon is gonna be jelly. They also have super cute nail polish colors to make giving yourself an at-home spa treatment so much more exciting. 29. A fishnet bodysuit that'll take your lingerie game to a whole new level. Seriously, what are you waiting for? Add to cart immediately!!! 30. A ginger sugar overnight lip mask that'll have you going to bed with chapped lips and waking up in the morning with them feeling softer than ever. 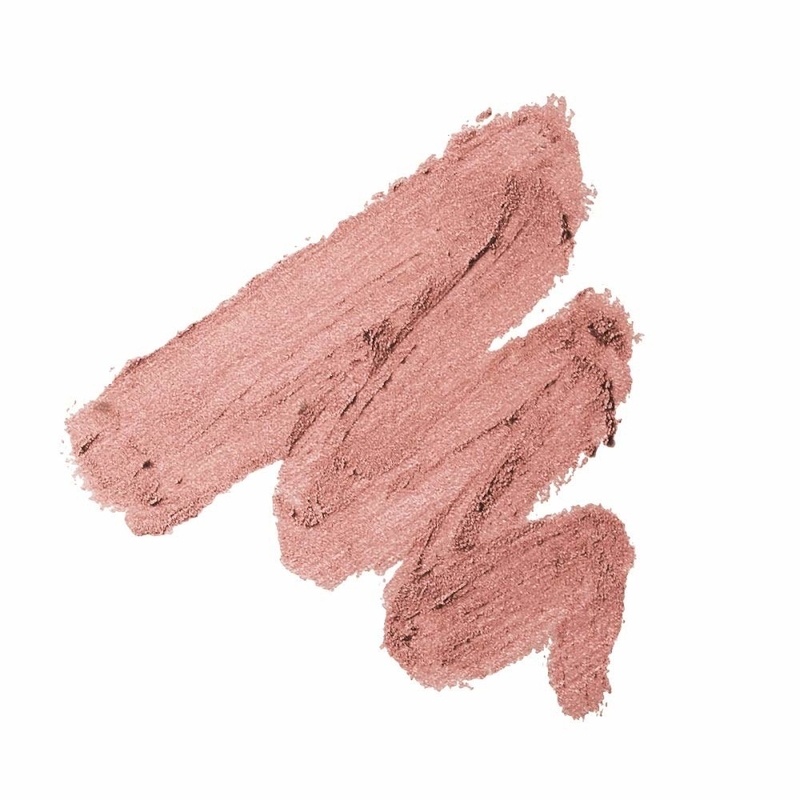 Contains ingredients like shea butter, beeswax, and murumuru butter to moisturize and smooth lips. 31. 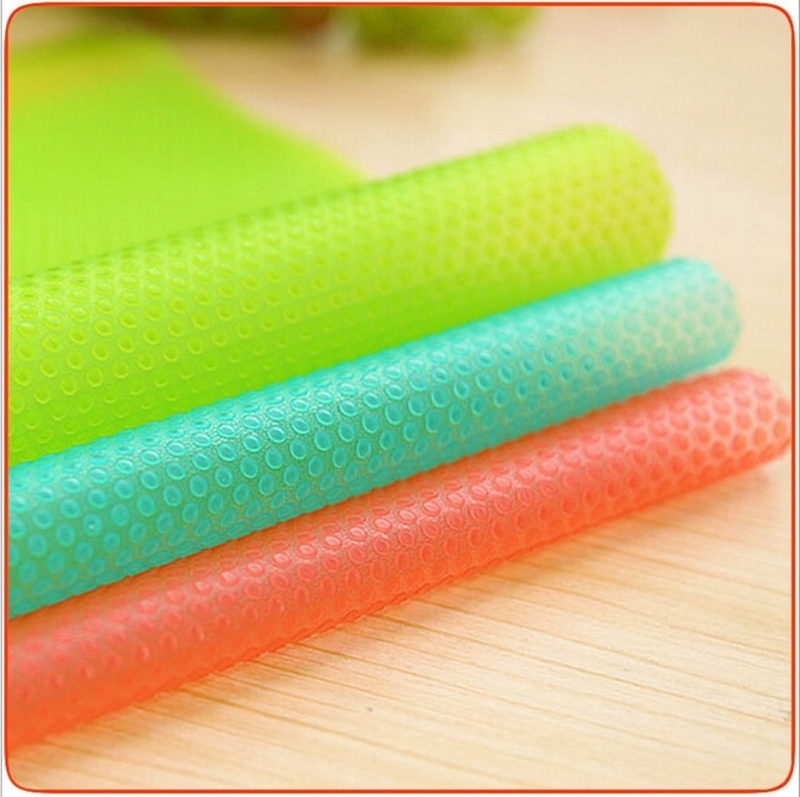 A 30-pack of hem bonding strips for bonding clothing fabric so fast and quick, without any need for sewing or ironing. We're just here to make your life easier! This works on most fabrics, and recommended to pre-test on delicate fabrics. Doesn't work on silk! These hold securely through cold water wash and low temp dry cycles! Promising review: "I'm short and I like to shop secondhand which means all of my pants have to be hemmed. I don't sew very well by hand or by machine, so these save me so much time. I wash my pants in cold water, only so the hem tape really lasts for me. I will keep buying them. Just keep a spray bottle of water around when you apply them, and keep your fingertips wet because these are really sticky!" —A. M.
32. 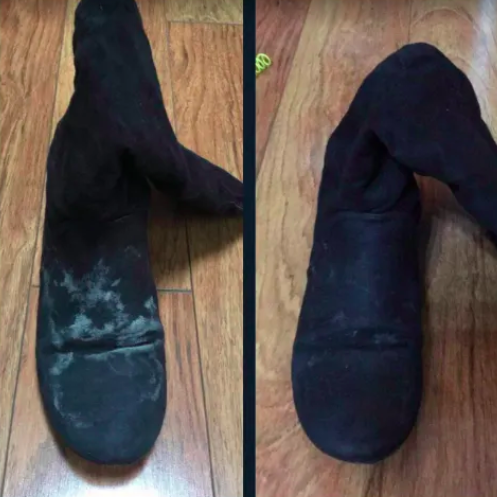 A 10-pack of boot wipes to simply clean dirt and salt stains from your shoes. So no need to fret if you look down and your fave boots are dirty, take a breather! It works well when cleaning leather, suede, rubber, and fabric. 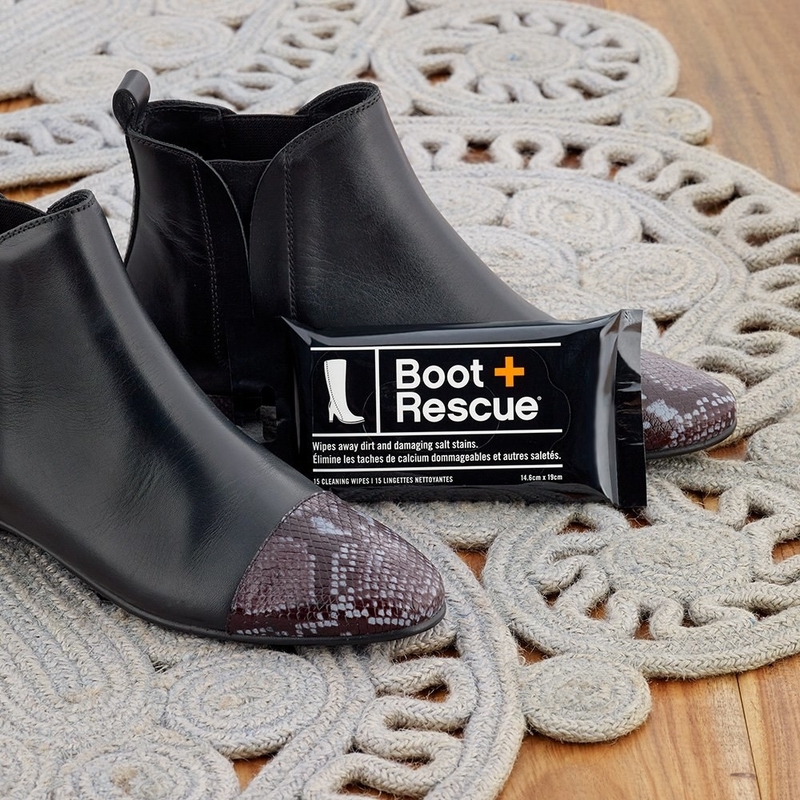 It's also good for more than just boots: You can use it to clean jackets, bags, car seats, and more! Plus, they come individually wrapped, so you can bring them on-the-go! 33. 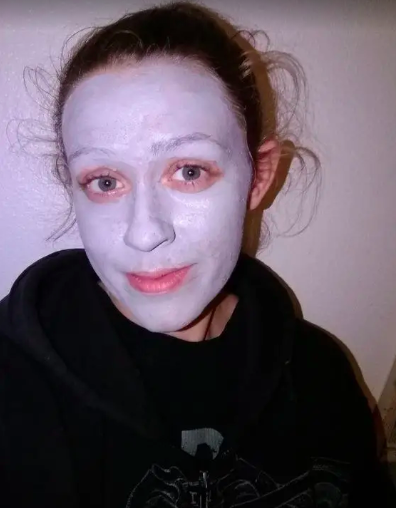 A volcanic pore clay mask that'll exfoliate your skin and tighten your pores, leaving you feeling relaxed and refreshed. This is especially suitable for oily skin, and is good for tightening pores, removing sebum, exfoliating dead skin cells, deep-cleansing. To use, apply the mask to your face and neck while avoiding contact with your eyes. Let the mask dry and rinse with warm water. Use it two times a week, or as often as needed!